I’ve been bigging up the importance of virtual retail for some time, so it’s great to see Westfield embracing the notion with its latest Future Fashion phygital installation taking place this week and next, at the White City and Stratford London shopping centre locations. The VR experience is courtesy of digital specialists Inition (the team behind Topshop’s virtual LFW show experience in February 2014), and allows visitors to the designated Future Fashion area, to try out the spring/summer 15 fashion themed virtual worlds created especially for Westfield. Users can try on the Oculus Rift headsets and immerse themselves in a denim hued or floral world that twists and turns as users gesture with their hands forwards, backwards or left to right. ‘Consumers are more tech savvy than ever before, a third of shoppers will walk out of a store that has no wifi,’ says Myf Ryan, marketing director for Westfield UK. ‘Digital is such an integrated part of people’s lives, it’s all about enhancing that digital shopping journey for our customers,’ she continues. 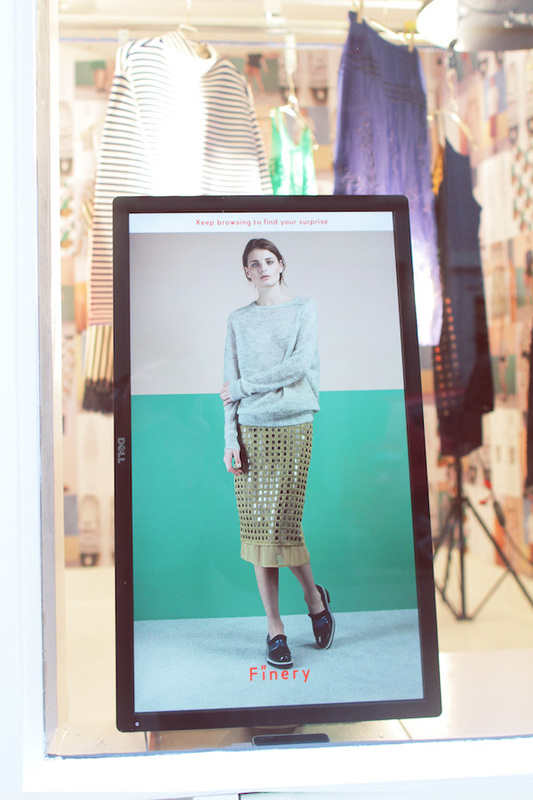 ‘With the Future Fashion promotion we wanted to push the boundaries of how people interact with the latest technology. We know that 57% of our customers respond to interactive digital displays, so we wanted to make that aspect more fun and connect it back to our shopping app, Edit Me, where they can personalise that shopping visit. Westfield’s continued focus on digital is a key part of our experience strategy where services such as click and collect and online curation keep people coming back to our shopping centres,’ she says. 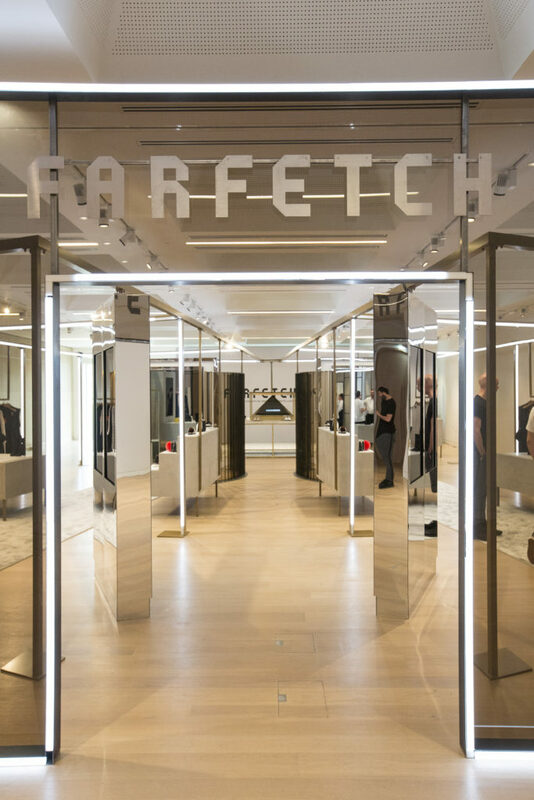 The Retail Planner verdict: The Future Fashion promotion is a highly phygital showcase for how VR might become more integrated into the future shopping experience. 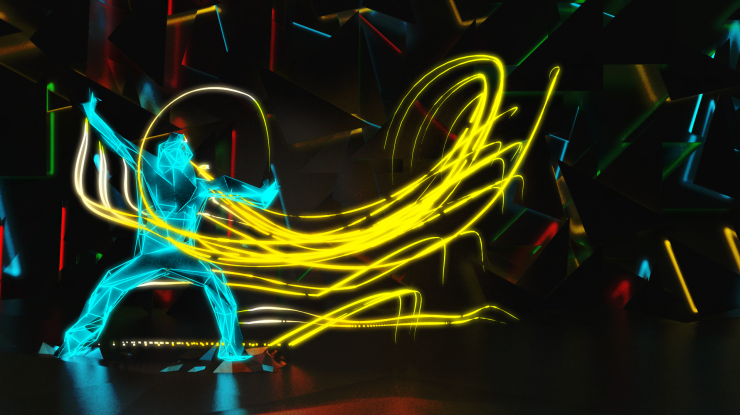 With these kind of experimental digital exercises coming out of the Westfiled Labs R&D department in San Francisco, the retailer is showing it is a phygital first company where digitizing the experience for customers is a key part of their engagement strategy. Addition: Marketing Magazine has produced a great behind the scenes video of how Inition installed it all. 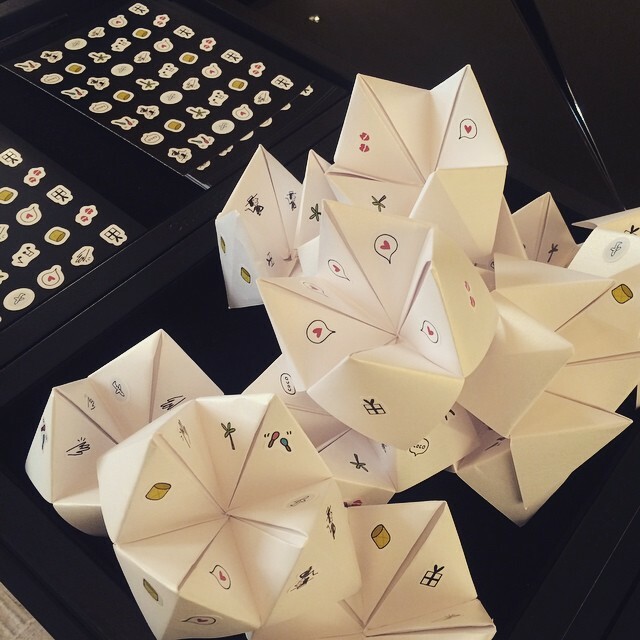 A good pop-up still has its place and this one blends a few retail trends at once. 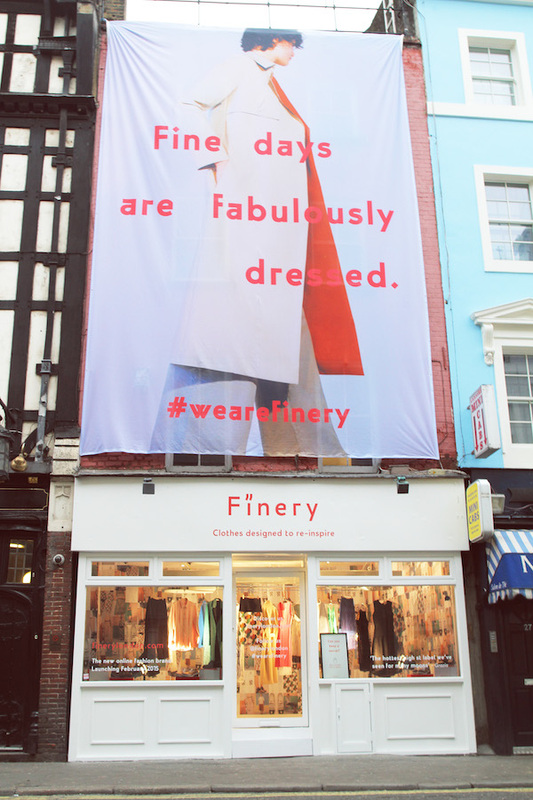 For its launch onto the ‘premium high-street’, last week online fashion site Finery London opened a week-long pop-up showroom that mixed physical creativity with digital experimentalism. Visitors to the tiny Greek Street store could see the label’s resort collection shown on a revolving carousel, set against a backdrop displaying the creative process behind the Finery London team’s design process, eg sketches, patterns, branding ideas. 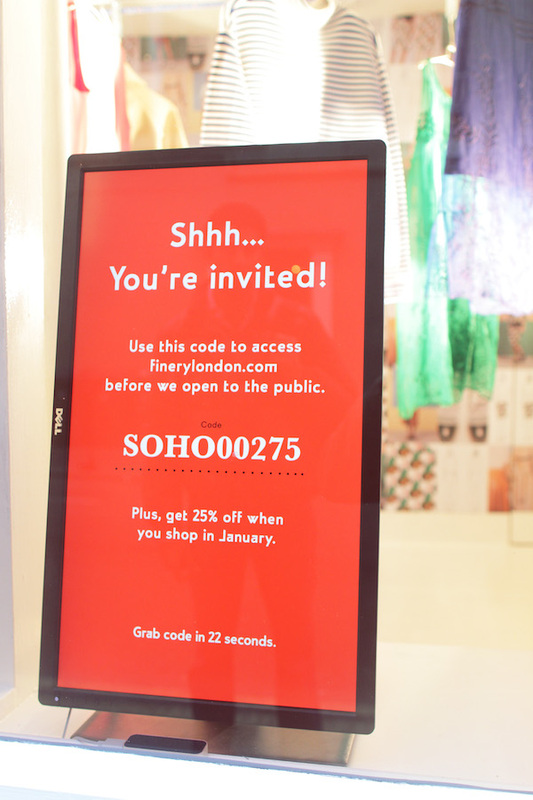 From the street, visitors could swipe through an interactive look book and find a discount code (for early bird shopping) hidden on a screen in the window using motion-sensing technology connected to their devices. ‘Creating an online audience can start just as effectively with an experience in the physical world, and for an online-only fashion brand like Finery London, we wanted to make the product tangible, visible and highly desirable to Londoners,’ says Thea Frost, partner at Somewhat, the digital agency responsible for the digital concept. 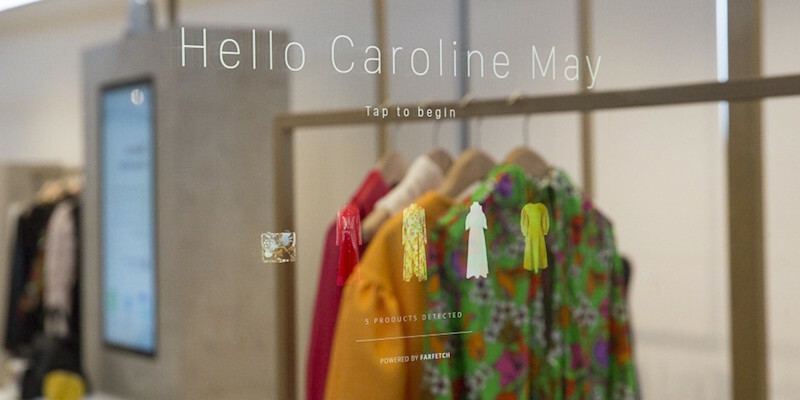 ‘The interactive screen mechanic reminds visitors that Finery is a digital brand and allows them to browse as they would on the website,’ she adds. After trialing the site among early adopters in December, Finery London launches properly on February 5th. With a team comprising of Caren Downie, ex-fashion director at ASOS, Rachel Morgan, former head womenswear buyer also at ASOS and Emma Farrow, until recently Topshop’s design director, the brand’s fashion-forward ethos is well considered. 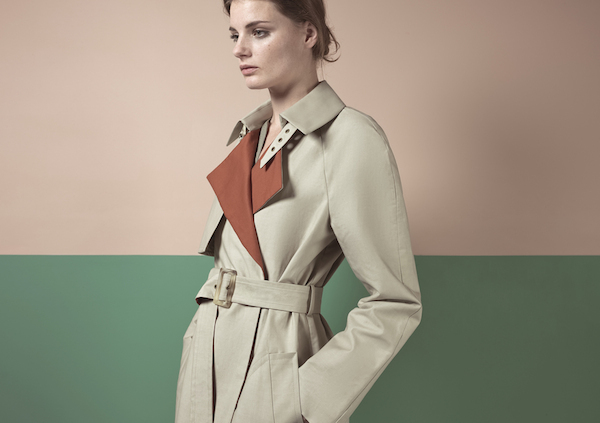 Farrow says Finery London has launched as an antidote to the current lack of femininity elsewhere on the high-street. ‘It’s about flattering the female form,’ she says adding the brand has a London feel but is ‘a little bit quirky and not too serious,’ according to a report on the Business of Fashion. 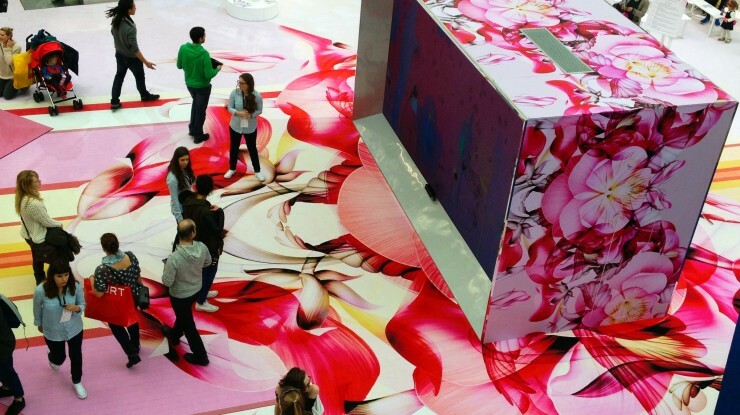 * This pop-up reflects the retail trend for interactive billboards, that is breathing new life into the pop-up genre. 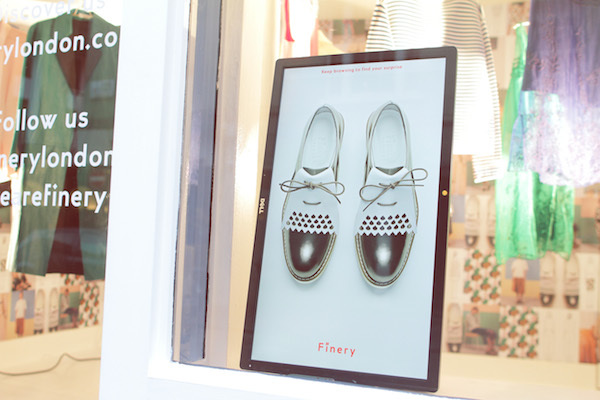 Finery London’s launch onto the market is a clever mix of creative storytelling and digital experimentalism. 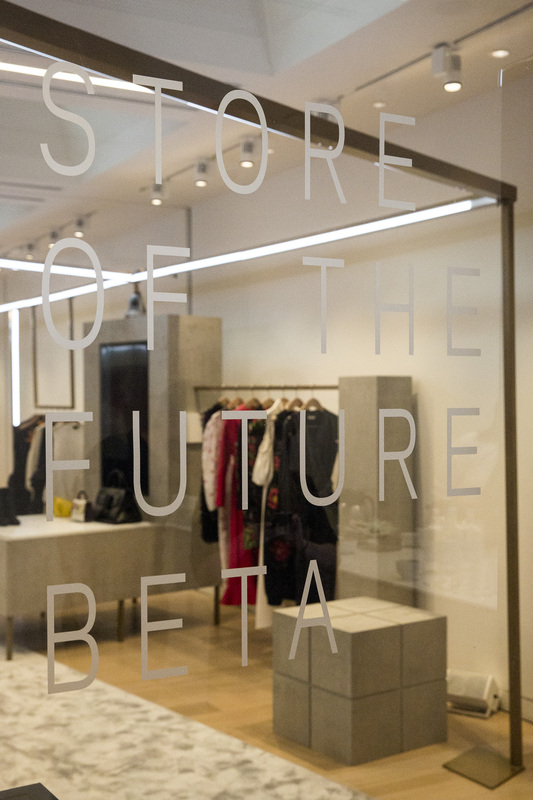 Showrooming retail tactics blend a physical presence with digital discovery- commerce. By encouraging early adopter shopping on the site through simple rewards, the campaign is a great example of how to utilise social-commerce from the word go. Beauty brands are going all out to gather consumer data via digital and interactive content platforms, designed to enhance an ever-personalised experience both in-store and online. 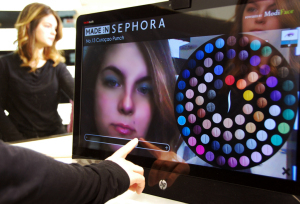 From on-counter smart mirrors and face-mapping programmes, to apps that allow you to colour-match before you buy, the beauty industry is embracing a more intuitive, digital journey to purchase. As retailers launch their own content platforms and mimic traditional media channels, beauty brands are following suit. Over the last few months, we have seen some of the industry’s biggest names launch editorial platforms that serve to engage and inform consumers with 360 degree brand-centric content. 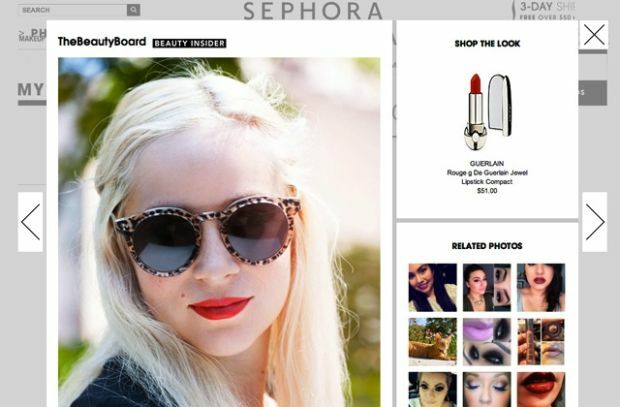 After Sephora created its own user-generated content site The Beauty Board, beauty conglomerates such as Estée Lauder and L’Oreal are creating online brand destinations, taking readers and their valuable data with them. L’Oreal is the latest to talk about its online content initiative. 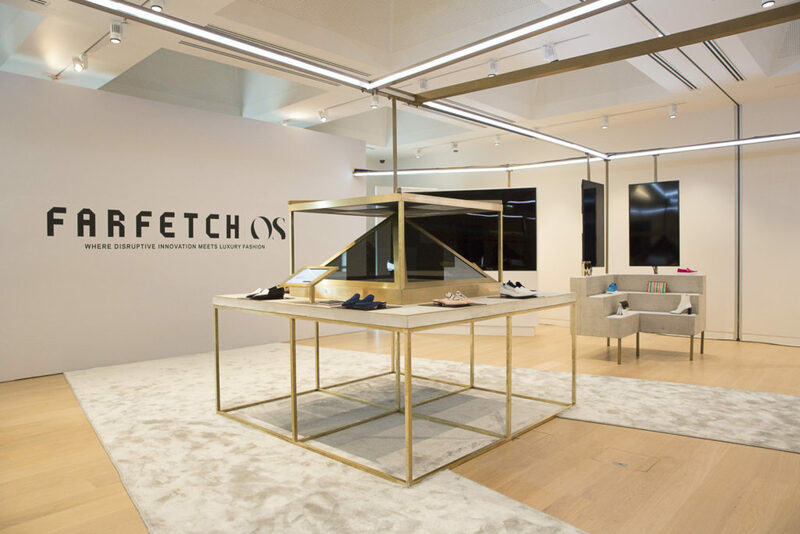 The French beauty giant unpacked the business strategy behind its new content-to-commerce ‘luxury digital flagship’ (online) stores at the World Retail Congress (WRC) conference in Paris last month. According to Internet Retailing, a re-focused direct-to-consumer e-commerce strategy will help the beauty conglomerate boost its annual direct e-commerce revenues to €300m in 2016 from €250m. ‘It’s not the digital revolution it’s the customer journey evolution,’ Vincent Stuhlen, global head of digital at L’Oréal Luxe told the WRC audience at a breakfast briefing. Customers are choosing to shop on their devices wherever they are, L’Oreal is simply putting itself in the right place, he said. ‘Our digital flagship strategy places the customer at the heart of the shopping experience; we want them to explore our brands and have the ultimate journey of discovery. We are testing the shopability of our content all the time – ideally with the aim of allowing customers to buy in just one click,’ he explained. For L’Oreal Luxe, the digital flagship brand stores (including Giorgio Armani, YSL Beaute, Lancôme, Kiehls, Shu Uemera among others), have been created for ‘personalised brand-to-customer relationship building’, through understanding user cookies, said Stuhlen. For example the Lancôme site is a digital branded experience for consumers who are ‘influencers’. The content-commerce platform sells direct to customers; it’s editorial driven and the customer curates their own page. They can get rewards from purchases, are encouraged to personalise their page and share their choices on social media, Stuhlen said. In the summer, Estée Lauder launched its biggest online content platform to date, The Estée Edit. The daily news and inspiration site features editorial from Estée Lauder spokespeople and industry collaborators such as French blogger, Garance Doré or model Joan Smalls. The content resembles a lifestyle magazine with posts across food, culture, music and fashion as well as business-led profiles of successful entrepreneurs. Celebrity guest posts work well on the site too. There have been spikes in readers following product reviews by Dore, or a three-day editorship by Smalls. There is a ‘shop the story’ section at the end of each article that links to Estée Lauder’s product-driven e-commerce site. This collaborative content-to-commerce strategy is a smart one for the brand. According to the L2 Digital IQ Index , Estée Lauder has the fourth largest e-commerce presence in the US, UK, France, and China combined (after Bobbi Brown, Clarins and Clinique). Back to L’Oreal and its digital push to engage with consumers. 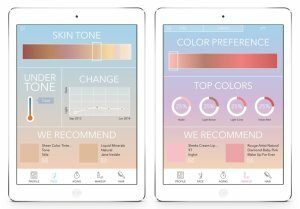 Coinciding with the Cannes Film Festival in May, the French giant launched its Makeup Genius App, as a way for its customers to try out more products on themselves, wherever they are via mobile and without even visiting a beauty counter. 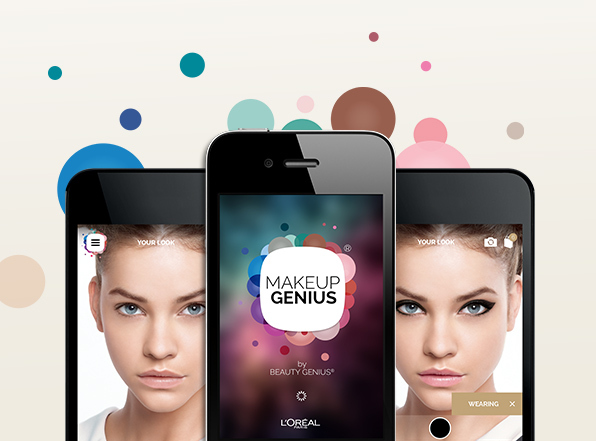 The app utilizes the front facing camera on smartphones and through facial mapping technology, the app can augment a range of L’Oreal’s key seasonal colour products and spokesmodel’s key looks onto the users face. If a shopper is using the app at a L’Oreal counter there are also products that can be scanned to instantly test the virtual looks. The 3D virtual mirror works by mapping 64 facial points and can be seen from whatever angle the user tilts their head and in real time. L’Oreal harvests data from every Makeup Genius session and if users like their new look, they can both buy the items directly via the app’s built-in shopping cart and snap selfies to share across social media or reference when applying the products in real life. Sephora is usually ahead of the curve when it comes to trying out new technology in stores. In June the retailer partnered with Modiface to trial 3D facial-recognition mirrors in its Milan flagship that simulate how cosmetics products will look on a shopper’s face from multiple perspectives. Users tap a touchscreen display to try different colours and looks, then save the results for trying out at home or purchasing in-store. If augmenting beauty looks onto shoppers’ faces via ‘try-before-you-buy’ apps is becoming the norm, perhaps we are not far off a more creative, virtual approach. We might see consumers booking data-driven face-mapping sessions similar to that shown in this beauty video from Project Omote by Japanese artist Nobumichi Asai. Not content with creating a suite of virtual make-over, anti-aging and photo-enhancing beauty apps, as well as working with Sephora, Modiface is going one step further with a new data-driven Beautiful Me app. The app works in conjunction with users’ Facebook photos and scans 500 of their images to determine skin tone, then makes product recommendations. Instead of basic analysis of a single photo, the Beautiful Me app gives people a much more accurate description of their skin profile, through the combination of big data and machine-learning algorithms, says Miriam Pettinen, ModiFace director of partnerships and mobile strategy for Beautiful Me. When you mix analytics-based algorithms with personal preferences you should get near-perfect product suggestions. That’s the strategy behind BeautyDNA a new subscription-based online matchmaking service similar to music or TV streaming services such as Pandora and Netflix. 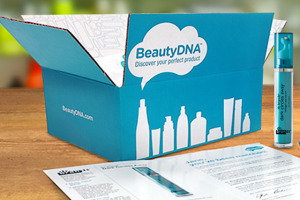 ‘BeautyDNA is a game changer in that it will evolve how women discover beauty products,’ said Adam Sandow, founder of the site. Dubbed ‘the Pandora of beauty’, the site uses analytics to match consumers with brands that match their skin or haircare needs. ‘It will empower women so that they aren’t making the same beauty mistakes time and time again. Imagine a warehouse full of thousands of products, it’s completely overwhelming. One person comes and hands you a box of the perfect products for you from that warehouse — that is BeautyDNA,’ he told Women’s Wear Daily. After three years of supplying beauty junkies with samples via a monthly subscription, online retailer Birchbox decided to experiment with a physical store that opened this summer in New York. With over 300,000 regular customers the company had enough preferences data to merchandise the store with online bestsellers and chose to position products by category not brand. 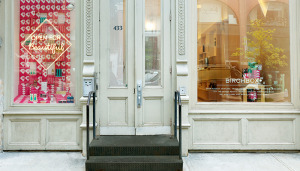 Birchbox joint-CEOs Katia Beauchamp and Hayley Barna told Fortune magazine, that visitors to the store have taken to inputting their personal data via an interactive screen to generate their own Birchbox product recommendations, which they can either buy in-store or create an account for their own instant subscription. 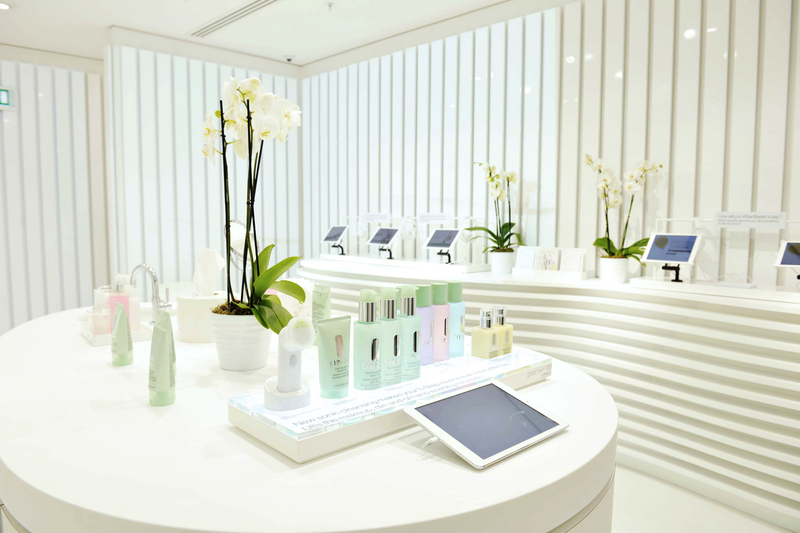 Clinique is the latest beauty brand to combine data-mining and store design with its new 700 sq ft pop-up retail concept called the Great Skin Lab. Billed as a digital experience that will guide consumers through a ‘day in the life of their skin’, the Covent Garden store houses interactive pods and a moisturising station, where shoppers answer a series of questions on their lifestyle to determine their future skincare needs. Along with fellow Estee-Lauder owned brand, Bobbi Brown and its personalised selling techniques at the new Studio flagship that has opened just next door, the area is fast becoming known as London’s Beauty Quarter. While consumers are still wary of brands using their data to advertise products at them, Unilever’s All Things Hair YouTube channel has done much to change that since it launched in late 2013. 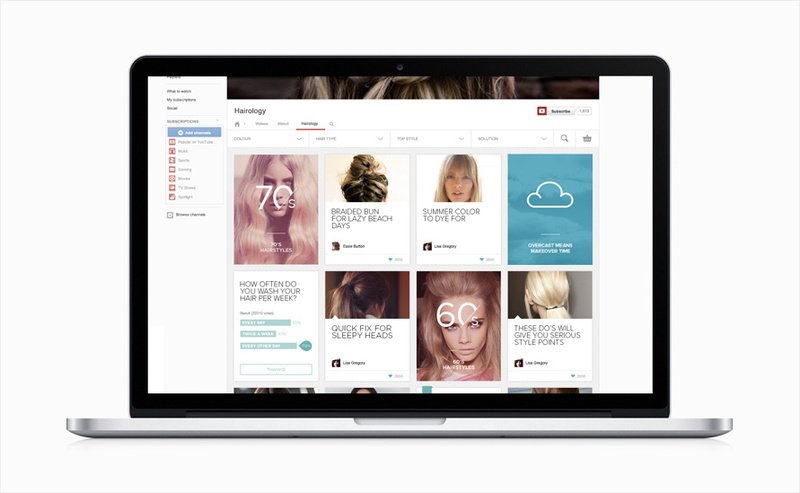 The dedicated hair channel features vloggers’ ‘how-to’ tutorials and was developed as a way to analyse consumer search data from Google or YouTube. Through mining the search data, vloggers create and deliver highly relevant content using products from the Unilever brand portfolio (Dove, Toni & Guy, V05). Described by Unilever as a way to predict the next hair trends, the channel now has more than 132,000 subscribers. When the campaign won an award at this year’s Cannes Lions advertising festival, Unilever CMO Keith Weed said: ‘The content is relevant, useful and authentic. It’s a really cool application of big data, based on what is actually big insights’. Through dedicated social platforms or augmented reality ‘try-before-you buy’ apps, beauty brands and retailers are able to mine consumer preferences then generate hyper-personalised product recommendations. As the beauty industry introduces ever more compelling reasons to harvest big data, it adds up to consumers getting more of what they want, how they want it and when they want it. The fashion show is dead. Long live the interactive, digital brand experience now taking place during New York and London fashion weeks, where consumers, influencers and their collective social media clout are the preferred global audience. It’s no coincidence that several brands are using these respective (outdated) fashion week events as digital springboards to launch democratic, social-commerce driven campaigns for buy-it-now capsule collections. And for a few digital innovators without an insta-commerce agenda, the runway show has evolved beyond live-streaming, to become an interactive and highly sharable event that puts consumer participation front of mind and at the fingertips of many. In New York, over the last week we’ve seen the traditional runway show outgrow its true purpose, with a raft of designers going all out with immersive, tech-rich and experiential happenings. With a social reach agenda as priority, Tommy Hilfiger engaged a number of non-fashion experts from the worlds of travel, architecture and photography, to document their personal reviews of his runway show, live and direct through a dedicated social campaign dubbed First Timers. The reviewers posted to their own social media platforms and the results were aggregated on a section of the brand’s website called The Conversation. Building on the brand’s democratic approach to sharing its show assets with online fans, this latest campaign adds another layer of expertise and engagement. 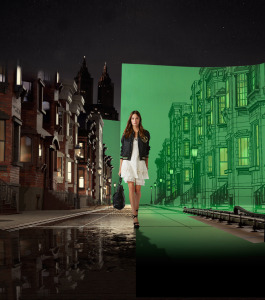 Amping up the digital quotient to huge scale proportions, Ralph Lauren put on a 4D light show in New York’s Central Park, calling it a logical next step in the brand’s progressive techno-savvy marketing strategy. 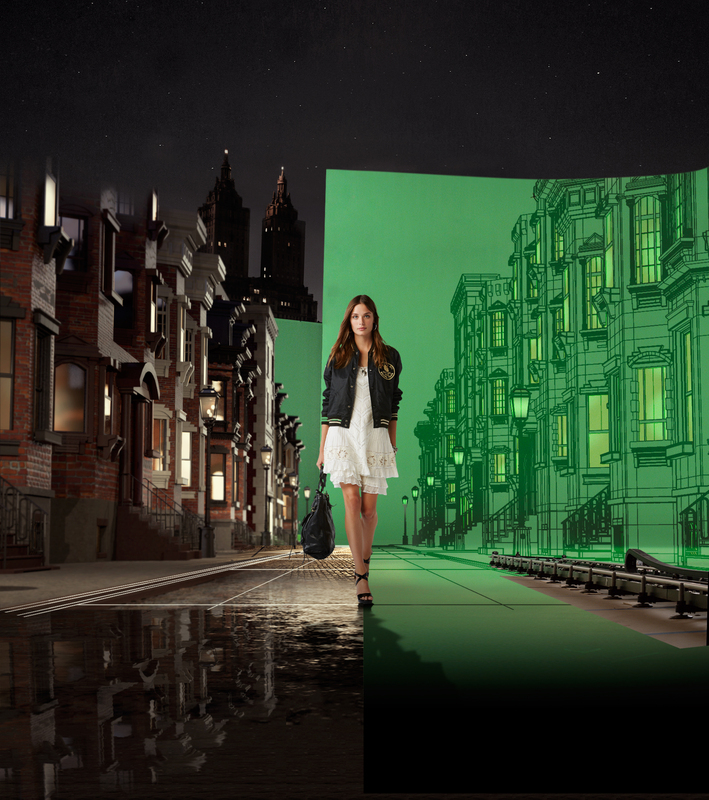 Utilising a four-story high water screen as the backdrop for the newly launched Polo Women runway show, virtual models walked among New York’s famous landmarks such as Brooklyn Bridge and the High Line (CGI meets hologram – so very tech!). All this digi-tainment is of course ideal Instagram-bait for the Techanista fashion crowd, who duly shared the Polo4D hashtag and show video: generously. 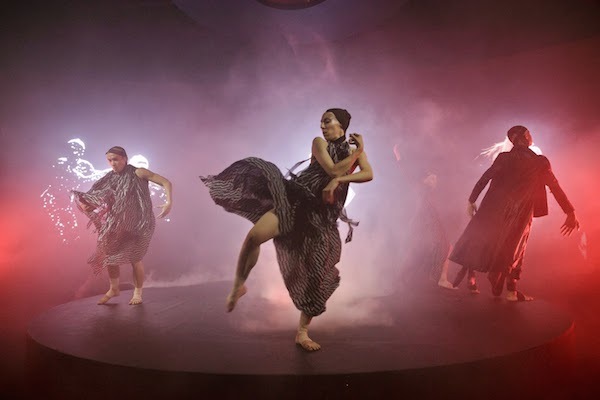 A more intimate, but equally mesmerisming multi-media show came from Gareth Pugh, who decamped to New York this season for a theatrical presentation in collaboration with Lexus’s Design Disrupted platform. The designer told Dazed Digital he wanted to push the boundaries of an ‘interactive presentation’. So contained within three separate, dark chambers at Pier 36, he mixed gesture-responsive video, writhing dance moves and a tornado like finale that fused folkore inspiration somewhere (lost?) between the physical and digital worlds only Pugh truly knows. 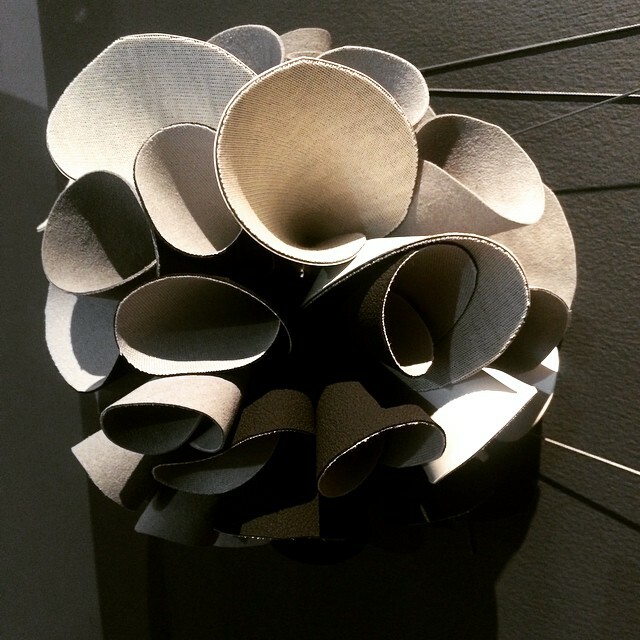 Wearables have quickly become the buzz of NYFW. One of the key players in this nascent fash-tech space is Rebecca Minkoff, who launched a new collection of wearables intelligent jewellery during her show. 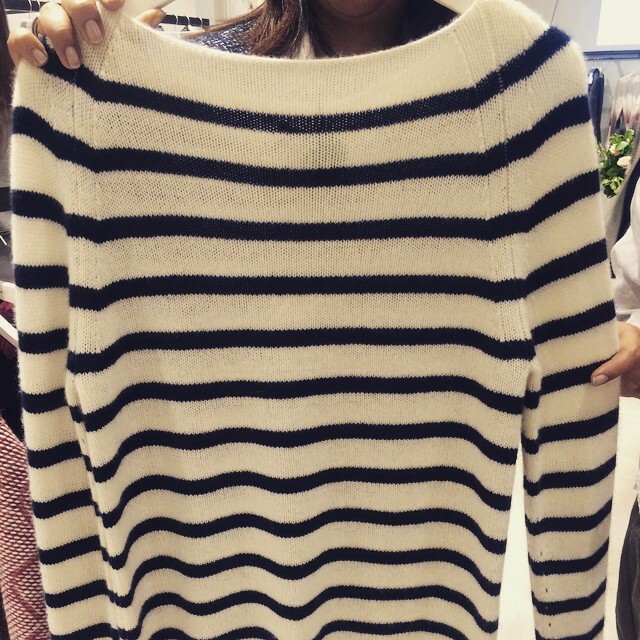 ‘We wanted to go after wearables in a different way,’ Uri Minkoff, CEO told WWD. As the brand looks at this fashion-function mix, it’s really where their customer is living, he says. Less successful but still firmly in the interactive show bracket, was Minkoff’s experiment with a capsule range of dresses using bio-tech fabrics, highlighted on the runway by the use of 3D glasses. One noteable exception to the exponential growth of digital fashion week presentations this season, is Opening Ceremony. The OC designers Humberto Leon and Carol Lim took a digital detox approach this season and chose what the LA Times referred to as a ‘playsentation’ called 100% Lost Cotton – a play re-enacting the life of a fashion show co-written by Jonah Hill and Spike Jonze. The 45 min play was in fact a parady of a fashion show (from first casting sessions to closing runway), that explored contributing relationships and the highs and lows involved in creating one. Smartphones and cameras were banned and in the suitably theatrical surroundings of the Metropolitan Opera House, the cast (including Elle Fanning as well as models to actually present the collection) walked and talked their way through a script that the designers say was inspired by their carefree, youthful days of the 90s when they first met, gatecrashing the swimming pool parties in suburban LA. Actually the entire idea, execution and irreverent brand statement resonated well. And in a season awash with digital firsts, this backward glance made you stop to think for a touch longer than usual. 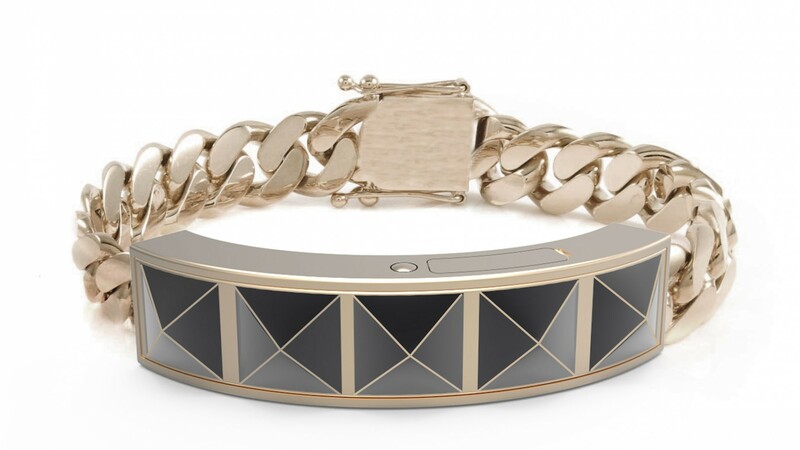 We’ll gloss over the nod to future-facing tech with OC’s debut collection of wearables, a collaboration with Intel, that made an appearance during the play. As the fash pack moves to London, there is more of a click-to-buy mood about the social-media led catwalk events planned for LFW. Ever the democratiser, Topshop is hosting its ‘most socially accessible fashion show to date’ on Sunday. Via partnerships with Facebook and Instagram, the Topshop online community can instantly shop exclusive pieces from the new SS15 collection, as well as curate their own content from the show experience along with five influential Instagrammers who will populate the Topshop feed. 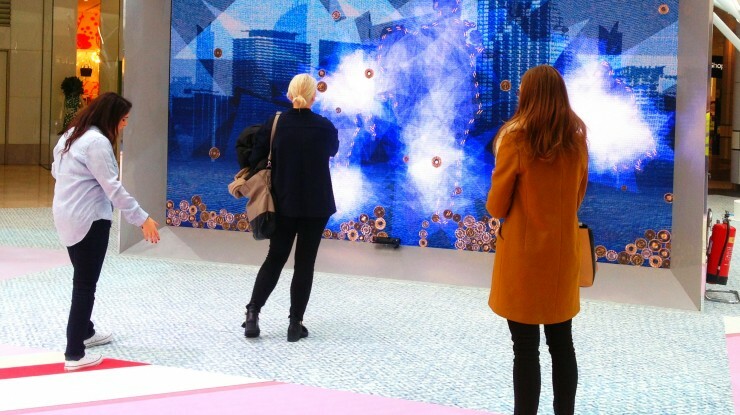 All this social content will be visible, live and direct through a specially commissioned ‘digital mosaic’ triple-screen window installation at the Oxford Circus store, created by one of my favourite set design duos Hellicar & Lewis. 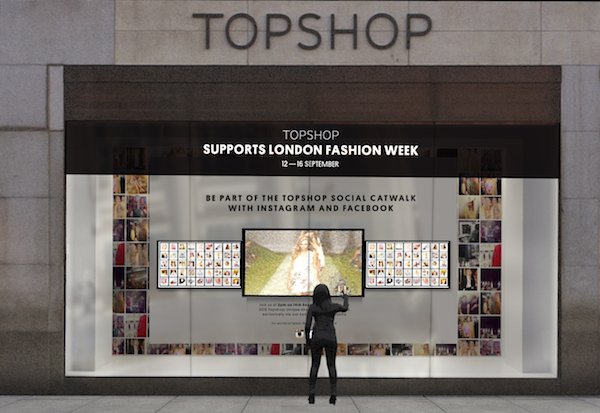 It goes without saying that not only is the phygital window display interactive to passersby, this clever 360 degree social content campaign will influence how Topshop’s growing global stores merchandise their stores during LFW. 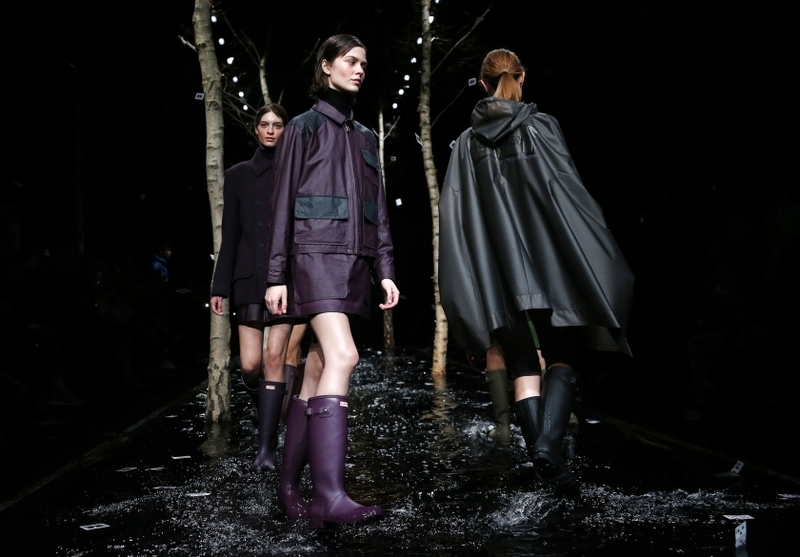 In only its second outing at LFW, Hunter Original is dipping its rubber boot toe into the world of geo-locative video clips via a live catwalk collaboration with tech start-up Grabyo. During the show on Saturday, Grabyo will offer ten clips of real-time video content via Twitter, that can be curated, depending on where the brand’s followers are located. By following #Beahunteroriginal, someone in Los Angeles might see a short clip featuring festival gear, while a London viewer will probably be targeted with outdoor or rainwear more in keeping with the British climate. The Grabyo content is optimised for mobile viewing and immediately offers something more engaging and relevant to Hunter Original’s live-streaming global show audience. Lastly, Henry Holland is pushing the boundaries of how physical and digital meet this season, with another click-to-buy initiative, this time via the virtual e-commerce fit specialist Metail. The designer’s House of Holland show will be live-streamed on a dedicated site: where his online fan base can literally try before they buy, utilizing the Metail technology that allows anyone to create a digital MeModel of themselves after inputting simple height, weight and bra size measurements. This digital collaboration is functional over fluffy and has the power to educate Holland’s customers – a useful tool, especially when amplified by the designer’s huge social following. Finally, it wouldn’t be LFW without talking about what Burberry‘s digital plans are this season. To coincide with the launch of its new fragrance MyBurberry, the luxury brand is going all out to offer fans their own personalised bottle, featuring a suite of digital customisation elements across both social and retail platforms. 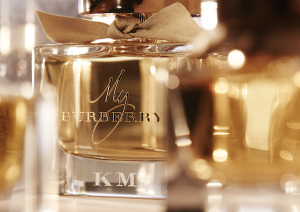 By logging on to MyBurberry.com, smartphone users can ‘order’ a virtual bottle with their initials engraved, and see it beamed across giant digital billboards in London’s Piccadilly Circus and New York’s Meatpacking District. There’s also a personalised retail campaign at Sephora and Selfridges, that allows customers to purchase their initialised bottles ,while online, interactive advertising banners encourage fans to create virtual bottles that are instantly shared across social media. 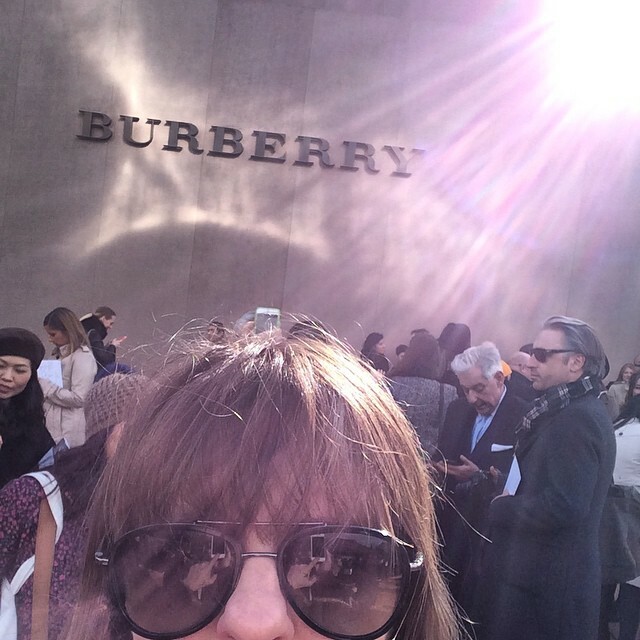 For the show on Monday, Burberry is one of only a few early adopters of Twitter’s beta ‘buy it’ button, that launched last week. 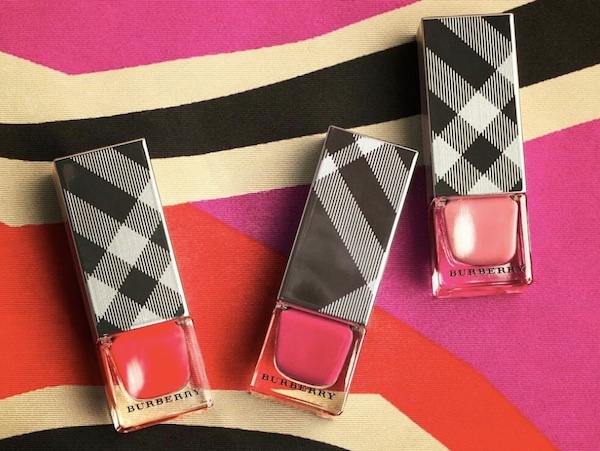 Now Burberry’s global Twitter audience can instantly buy the nail colours featured on the runway (sneak peek below). Twitter-commerce has truly arrived. Ask Alison: what does it all mean? This fashion week season, digital has truly come to the fore. The concept of live-streaming is evolving and changing with our always-on visual-language culture. 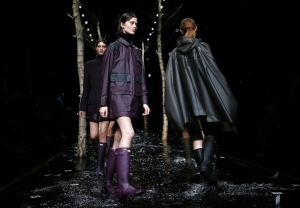 Brands are increasingly preferring to democratize the show experience where Insta-commerce is woven into the execution. In an age where ubiquitous selfies know no bounds, social is the fastest moving media that is even recasting how retail operates. Conveniently choosing Tokyo to test the market for its new retail brand, Kate Spade Saturday mixes a physical store environment with digital point of sale (POS). The new concept store encourages customers to interact with the brand aimed at a younger, more casual fashionista customer, perfect for Japan. 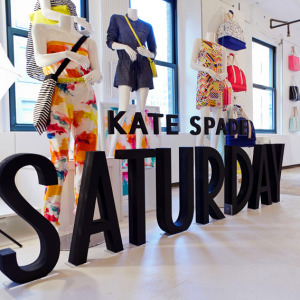 Kate Spade Saturday’s interactive POS is created for customers to dip into related digital merchandise content on iPads dotted around the store. 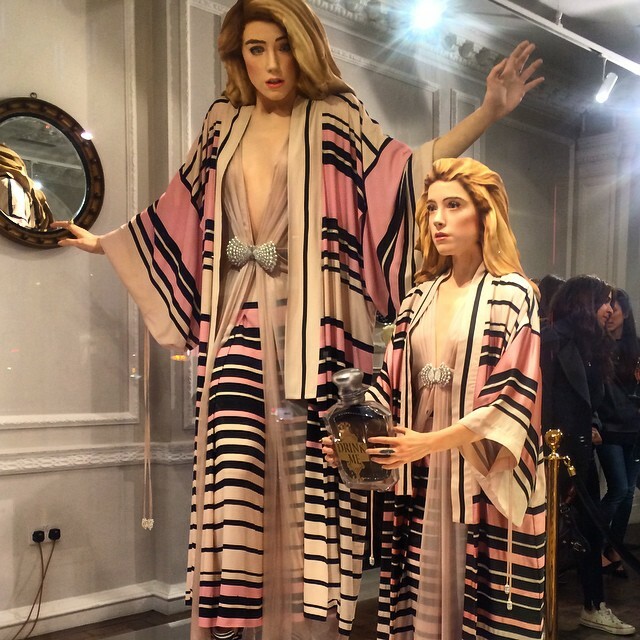 The tablets are unbranded and blend seamlessly into the fixtures or appear as stand alone displays next to featured mannequins. The content featured on the tablets is designed to be changed frequently and is connected to the brand’s social media channels. 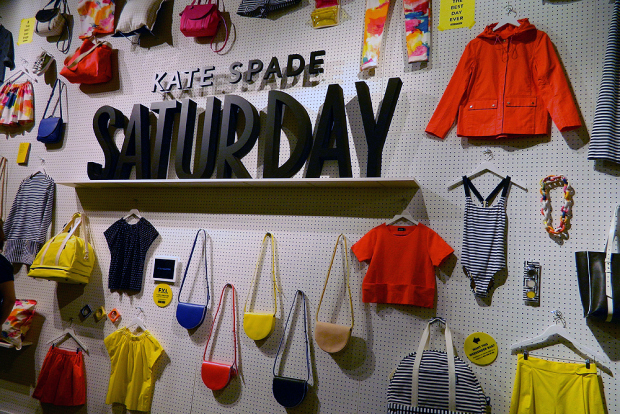 Kate Spade’s strategy for the new retail brand is to drop unique weekly products exclusively available at the Tokyo flagship – driving millennial shoppers into the store to check out what’s new each week (on Saturdays). While they are there they can browse social media, linger over look books and watch videos of styling tips via the multiple tablets or hang around in the café to catch up with friends over a coffee. Osaka is the next store to open in Japan, where over the next year, there will be a total of five locations plus US and Japanese e-commerce sites. The new digital strategy was created by design agency Control Group and replaces Kate Spade’s out-of-date analogue POS system that would have been too slow and too expensive for the weekly product focus, not to mention out of synch with the brand’s digitally savvy shoppers. The tablets allow Kate Spade to test branded content quickly and efficiently, the developers can also get reactions to product drops in time to be able to update collections, deal with fulfillment across the store portfolio and hone brand messages or in-store offers. At all times the POS content engages shoppers on the shop floor right next to the product, it’s a physical-digital hybrid experience that means a weekly trip to the store, driving much needed footfall. Kate Spade’s new Saturday retail concept was created as a physical-digital entity from the word go. It’s aimed at millennials who shop across channels and like their store environments to cater to their every smart-device driven whim. By designing the POS to be integrated into the store fixtures and enabling a store-wide software platform that staff can update with related content and even with some purchasing analytics thrown into the mix, it’s future retail planning at its best. Control Group is a leading design and tech firm leading the way in experiential store design, for more read an interview with Paul McConnell, the firm’s director of product design.